These will help you feel what you need to feel. RELEVANT Roundtable is when we ask our slate of culture writers a question and compile their responses. This week’s question: Which movie do you watch on a bad day? Joshua Pease: Did my car just break down, and while I was waiting for AAA was I drenched in cold water when a truck drove by and hit a puddle? Did I just find out a meteorite is on a collision course with earth and the team of hardscrabble drillers sent to blow it up failed? Has all love been scrubbed from existence? If so, I’m watching Ocean’s Eleven, the most perfect popcorn film that’s ever been made. Once you start watching it, I promise you, you won’t stop, and if Brad Pitt’s laconic food-consumption doesn’t fill you with hope, nothing will. Jessica Collins: Easy. You’ve Got Mail. I’ve watched it on every bad, rainy and sick day. Not only is it a classic 90’s rom-com with your favorite sweethearts, Meg Ryan and Tom Hanks, but it’s packed with all my favorite things: The Cranberries, New York in the fall, bouquets of sharpened pencils and an ahead-of-its-time take on capitalism. This is the ultimate comfort movie. You’ve Got Mail transports you back to the age of dial-up internet and local bookstores, and makes you weirdly nostalgic for it. Plus, 90s Meg Ryan is a fashion icon. Seth Tower Hurd: At this moment, I’m caring for my three-month-old daughter while I’m waiting for an X-Ray about a broken ankle. In times like this, my go-to movie will always be 2012’s Lawless. It’s the true story of three Virginia brothers who build a moonshining empire. Tom Hardy, Shia Labeouf, Gary Oldman and Jessica Chastain are all in fine form. The movie splits the difference between a western and a gangster flick. It reminds me of the tales my late grandfather told me dozens of times about the antics of the Potter Boys, the great-great uncles who ran moonshine up and down our native Pike County, IL in a beat up Model T Ford. Sometimes emotional chicken soup comes from a mason jar. Tyler Huckabee: If we’re talking all-time great comfort food films, my answer is Tim Burton’s Big Fish. I’ve seen it more than I’ve seen any other movie, and I have no idea what number two would be. 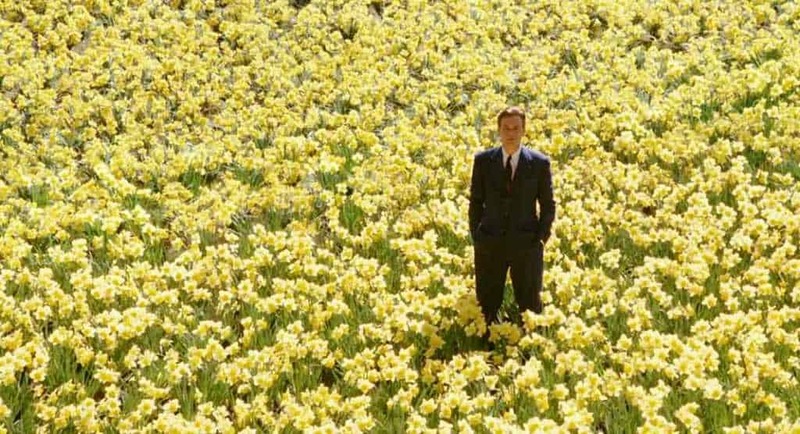 I’m a sucker for father-son stories and Burton’s aesthetic, but I think the real draw on a bad day is the simple math of Big Fish’s moral universe, in which storytelling provides real meaning for the life of the storyteller, and things can be true without being real. It’s such a reassuring thought — so reassuring that I refuse to seriously interrogate it — and it unspools with a soothing tenderness that Burton has never shown before or since. Tyler Daswick: Dare I say The Muppets? I love the 2011 reboot with Jason Segal and Amy Adams so much. It’s like a round of applause in a movie, and it’s just so winning. For me, every song works—somehow I’m not even mad at the “We Built This City” Starship cover!—but the standouts, “Life’s a Happy Song” and “Man or Muppet,” make me emotional in every sense each time they play. This movie doesn’t just make me feel better; its unabashed sincerity makes me feel hopeful and idealistic just as it assures me it’s okay to feel “bad” and “better” at the same time. Play the music! Light the lights! I’m crying! I’m so happy!